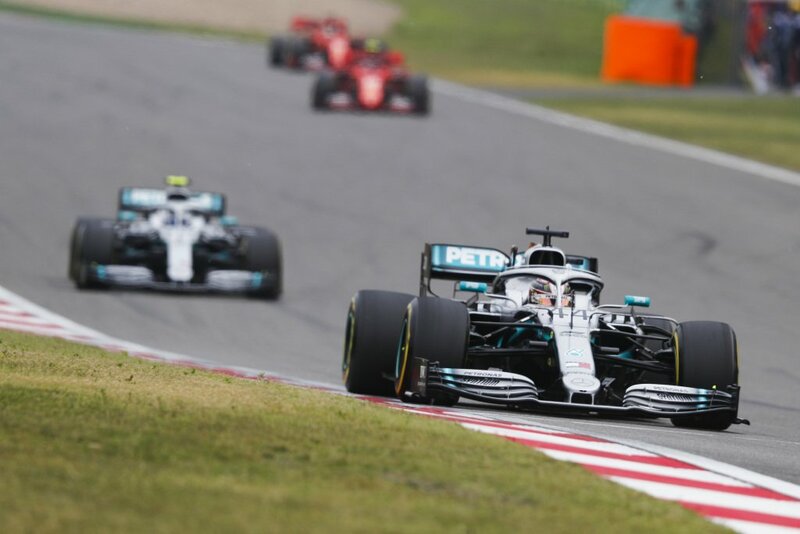 So much of the post-Chinese Grand Prix focus lay on Ferrari: its use of team orders; its strategic confusion; its failure – again – to put up any kind of fight for victory. But more has to be made of Mercedes’ achievements in the early part of the season which, remarkably, dwarf anything achieved in the sport in the past 27 years. Not since 1992 has a team taken one-two finishes at the opening three races of the season, when Nigel Mansell led home Riccardo Patrese for Williams in South Africa, Mexico and Brazil. For Mercedes to have managed the feat now seemed unthinkable in pre-season. Even after overcoming its struggles at the first test to seem competitive by the close of play in Barcelona, Ferrari comfortably looked a step ahead. Australia flipped the formbook completely, but may have seemed like an anomaly in light of how dominant Ferrari was in Bahrain. (Mercedes’ one-two there was fortuitous, yes.) So China would perhaps offer a more accurate picture. With or without the team order tensions that brewed, Ferrari did not have the pace to fight Mercedes outright. The only slight pressure it put on came at the second round of pit stops, when it kept Charles Leclerc out in the hope of holding up Lewis Hamilton and Valtteri Bottas to give Sebastian Vettel a shot at catching them. It failed – miserably – as Mercedes pulled off a remarkable double-stack pit stop, servicing two cars with eight sets of tyres in five seconds. “You don’t get to train that a lot,” Mercedes chief Toto Wolff said after the race. “The first line of attack needs to be out of the way for the second group to put the tyres on. How it functioned today, I can only really take my hat off to the mechanics and everyone involved around the stops. That kind of quick thinking is what has made Mercedes so dominant in F1 over the past six years. It has looked for every single gain possible to find an advantage. Ferrari may have undergone a number of seemingly positive changes over the winter, but we’ve seen in the first three races – most starkly shown in China not by the team orders debacle, but in its muddled strategy calls – that there is still a lot of work to do if it is to get close to Mercedes’ operational level. Lewis Hamilton’s points advantage over Sebastian Vettel has already grown to 31 points after just three races. It took him until Singapore – Round 15 – to build up such an advantage last year. But he’s paying little attention to the standings right now. That is exactly what Mercedes is continuing to do in F1. When Ferrari has been the quicker team, perfect execution has still given Mercedes the advantage, as much of last year proved. So Hamilton was understandably a bit confused post-race when he was asked if Mercedes felt like it was winning “on merit” right now, or simply as a result of Ferrari’s slip-ups. “Well I think either way, you win on merit. I don’t really know how to answer that,” Hamilton replied. “I think as a team, we arrive and everyone does their best job. You’ve got to try and operate to 100 percent, and we’re operating close to that. “I think with what we have, we are operating with what we have at its full potential. But there will be more improvements to come in the future, we will make steps forward. “I think in the last race, you can’t say that was necessarily on full merit, because we weren’t quick enough to win the race really. Mercedes is taking nothing for granted in the fight against Ferrari this year, even after such a brilliant start. We saw in Bahrain just how dominant Ferrari can be in the right conditions thanks to its straight-line speed advantage, meaning the points difference – a 57-point gulf in the constructors’ championship already – is far from representative. 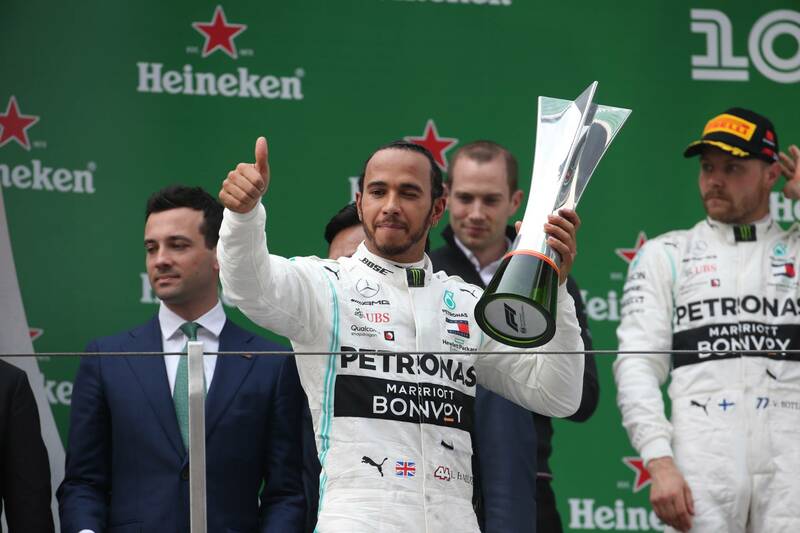 “Melbourne came as a great surprise when everybody let their pants down that our performance was good enough – and then you get caught out,” Wolff said. “We came to Bahrain and we weren’t fast enough at a layout that is very much a rear-limited track with the most abrasive asphalt on the calendar, and Ferrari was the one that should have won the race in terms of pure car performance. “I think although we have scored three one-twos, I’m saying again - and maybe it’s not very popular - but I think this is not what we’re seeing in the [real] picture. “We’re not going to get ahead of ourselves,” warned Hamilton. “We’re naturally going to continue to get our heads down and keep working. We’ve got another close battle on our hands. “Ferrari are right there. I think we’ve got races that are coming up that could potentially suit them more, who knows. Ferrari may have let some opportunities slip through its fingers at the start of this year, but this should not take anything away from the supreme job Mercedes is doing right now. Even with five straight championship doubles under its belt, it has lost none of its edge or focus. Mercedes’ start to 2019 must act as a stark reminder to its rivals of what it has built, and why, if it is to be dethroned, it will take something spectacular to make it happen.